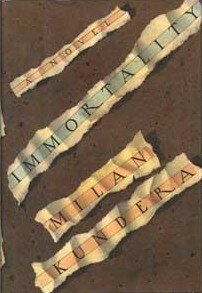 Milan Kundera is one of the more interesting characters in the world of literature. A political maverick in his birth land of the Czech Republic, he’s part rock star for many reasons. On top of being a highly lauded author, he’s one of a handful of respected writers who actually uses his second language (French) to tell his stories. He’s also constantly in the mix for the Nobel Prize in Literature. Perhaps his most alluring/enticing (strange/frightening?) trait is that he’s got a bit of the J.D. Salinger going on, rarely offering press interviews and going incognito much of the time. Whatever the case, he’s so much more than his most famous work, The Unbearable Lightness of Being. While that’s a great book (and film! ), all four of the books I’ve read by him have had something to offer that another one didn’t.